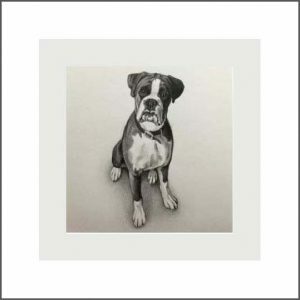 Miniature portraits are the perfect gift for friends, family or for yourself! 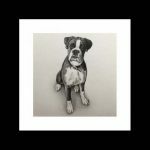 I draw each portrait by hand from your photos, mount and frame them ready for delivery. 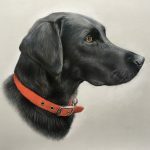 Working from my studio in North Cornwall, I carefully draw every portrait to be as realistic as possible and capture your pets character. Every drawing is signed. 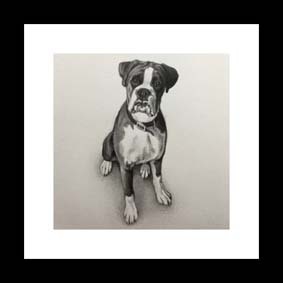 Each drawing measures 4”x4” (6”x6” mounted and framed) they are ready to hang or stand. Please allow 2 – 3 weeks for completion and delivery of your portrait. What if I need it sooner than this for a special occasion such as a birthday? Please contact me before placing your order and I will be able to let you know if this is possible, some times of year are busier than others. I will always try to meet your deadline if I can. If I’m unable to meet your deadline I will tell you before you place the order. 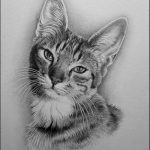 I draw each portrait from your photos, these need to be as high res/large as possible so I can see all the details of your pet. If you aren’t sure if I can work from your photos please feel free to contact me so I can have a look and advise. For miniature portraits most photos will still be suitable, even if they are small/not as clear as you’d like. For larger portraits its more crucial that the photos are large and clear. 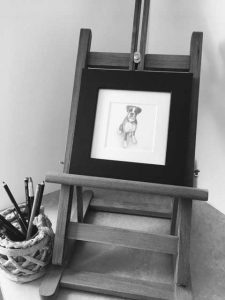 Do you only draw pets?